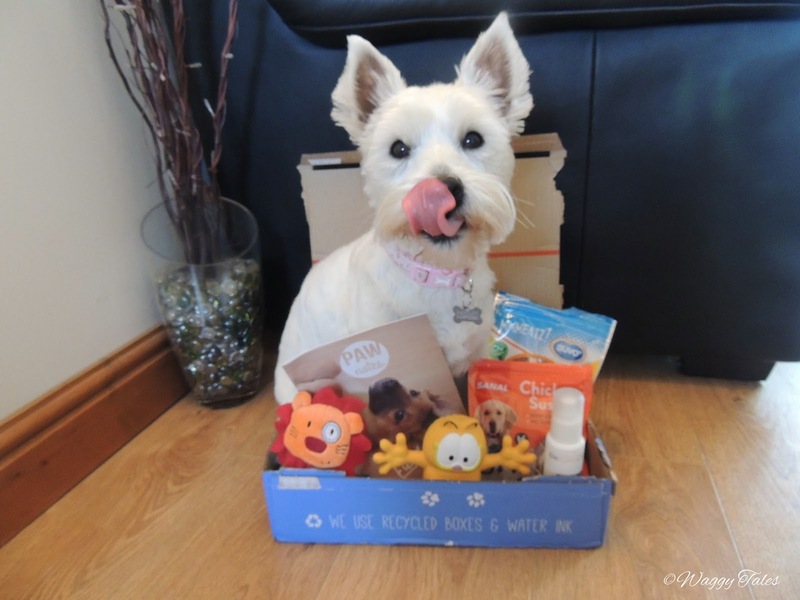 Everybody loves a treat including me, so I was delighted when mum said we were getting a Pawsomebox to review. What a Pawsomebox I hear you bark? Pawsome is a UK based company offering a pet subscription service. With a team of doggie parents they know exactly what make us tick. Pawsome understand that each dog is different. Puppy parents can set up a profile of their dog explaining their dogs age, breed, size and fur type and each box will be customised to your pets personal profile. With 5 to 6 quality product, chosen and adapted to fit your dogs's profile each monthly box is filled with surprises. Whether treats, toys accessories or hygiene product, they only select the best of product for your pooch. They understand that not everybody can afford a subscription box every month, so have three plans to choose from - either a one- monthly box for £19.90, a three monthly plan receiving one box every month for £18.90 a box, a sixth monthly plan receiving one box a month for £17.90, or a twelve month subscription receiving one box every month for £17.90. The plan you choose decides the frequency of the payment, if you choose a monthly plan you pay each month, the other plans are billed according to their subscription length but a one of payment is taken for that subscription to active the great discount. All plans include delivery by a independent courier for free. Plans also renew automatically to make sure your pooch never miss out, but there is no catches, you can cancel whenever you want. So what did we receive in our Pawsomebox? As much as Lottie tried she isn't a item in August Pawsomebox, but we got lots of other fantastic goodies. Lottie loves chicken jerky so she was more than delighted to receive this item. 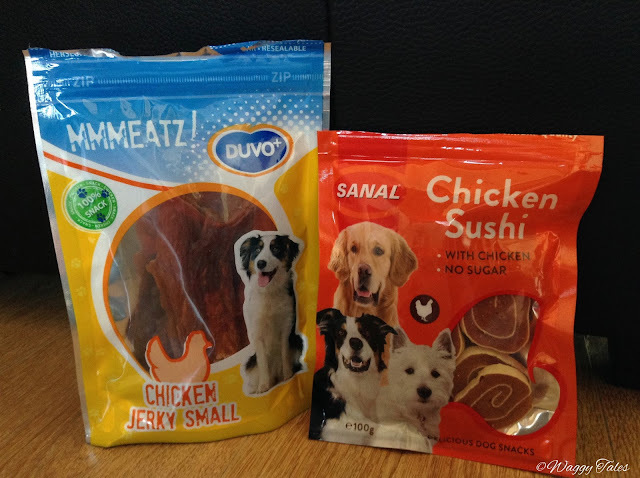 These treats are made with real chicken, meaning your dog will love the natural taste as they chew away. Chew away she definitely did, they are a great size for small dogs and latest Lottie a decent amount of time (which is don't find with some other chews). She loved them that much she even begged for a second. Now we had never heard of dog sushi before, so Lottie had never tried it. Upon opening the packaging it was very clear to see that Lottie would love them. Boy she did! Despite the fact she found them a little chewy, she was giving a paw for another, and another and another! Not that it worked every time! These snacks are rolls of tasty chicken flavoured filling wrapped in a meaty outer casing. They are also low in fat content and don't contain any sugar, making them perfect do dogs with diet limitation or condition such as diabetes. This was definitely Lottie's favourite of all the items. She is very gentle with her mouth and still has all her puppy toy, so this is a new welcomed addition. It's just the right size and even has a little squeaker in its tummy to keep your dog interested for longer. With it bright colours and soft yet durable material your dog will love to snuggle down with this cutie. Out of the three variety's for this item, boy are we glad we got this one. It just so cute. Lottie isn't keen on cats. She's definitely more a canine lover, but with this toy no longer does she need to forlornly try to win the love of the neighbours's cat next door! She can have all the fun of having a cat companion without the chance of being hissed at! I think you will agree, they are definitely the best of friends? Not the most interesting of product, but absolutely vital never the less. Even though Lottie already has a pet ID this will come in very handy. You simply write your details on the paper provided, slide into the small container and add it to your dog;s collar. 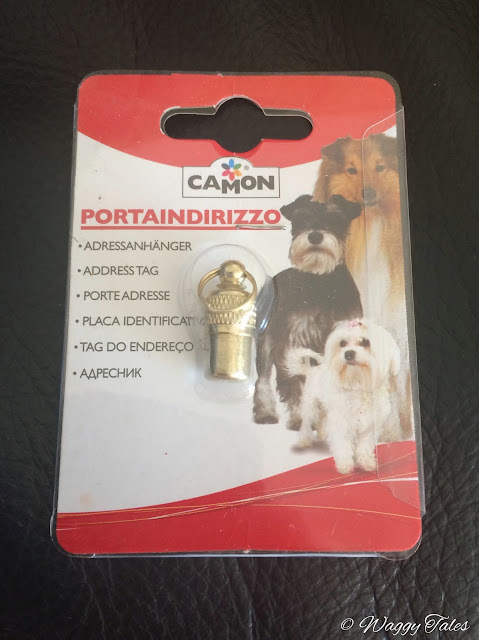 The ID tube is made out of durable and resistant metal, meaning that even if your canine is a water baby your contact details will be safe inside if someone needs to get to them. The final product, is a cleansing lotion by Biogance designed either to help you cleanse the ears or clean the eyes of your dog. 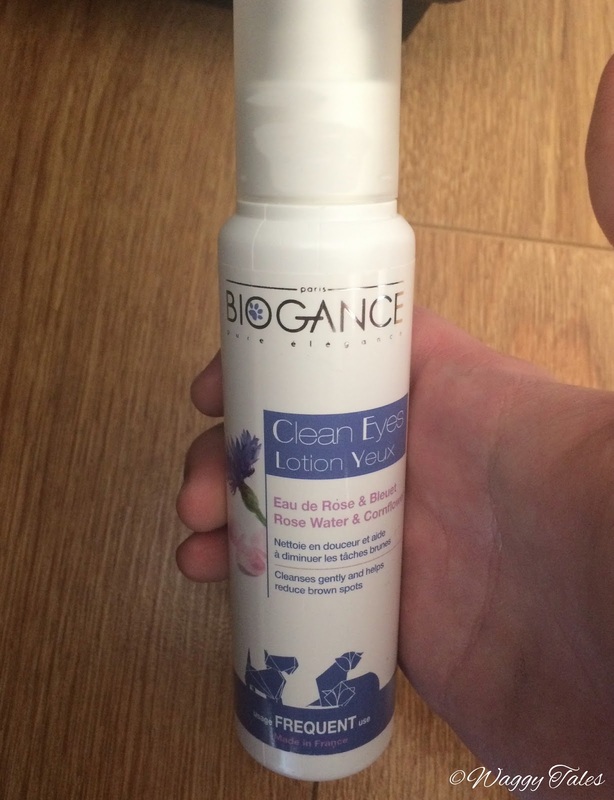 If your anything like us, you make sure you keep your dog in tip top condition. However, there are some areas that dog owners can forget, and the eyes and ears are a prime example of this. Lottie has the typical Westie skin condition which effects her ears, mouth and paws and is treated with medication from the vets. So here ears so get cleaned frequently. That said as soon as we knew that we would be receiving this product we made sure it wouldn't interact with her other lotions and potions! The vet said it would be fine and may actually help to improve her ears even more. The ears solution includes soothing natural ingredients such as menthol and rosemary extract, to help your dog to keep fresh ears and smell great at the same time! After two weeks use we definitely noticed a different, and Lottie ears definitely seemed to be improving. Want to find out more information about each of the products we recieved? Check out our video review below. Like Lottie's Videos? Click here to subscribe Waggy Tales Youtube channel. 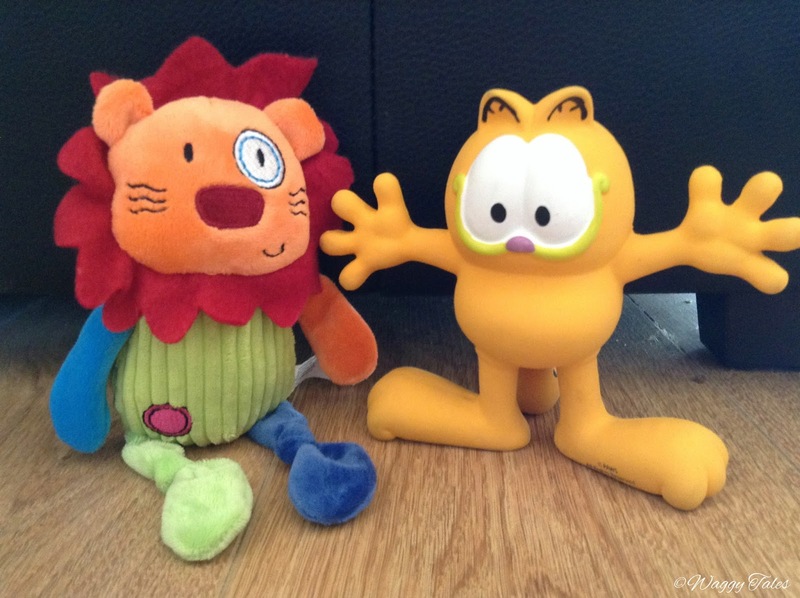 So what did we think Pawsomebox? In a short answer we loved it. Each month you get to try and test new product that you necessarily buy or are able to buy from the high street. We feel its great value for money, especially with such a wide variety of subscription plans. As they do a one off box it also make an ideal Christmas present for a canine loving friend. If you want to spoil your pooch then a monthly subscription box from Pawsomebox is definitely for you. We received a subscription box from Pawsomebox at no charge in exchange for our honest and fair review of their product. All opinions expressed here are our own and truthful! The goodies look nice and your dog is a cutie.